Review: Today Liu Chen writes in the Auckland Eastern Courier about St John’s calling service, which is expanding to offer services in Mandarin and Cantonese. 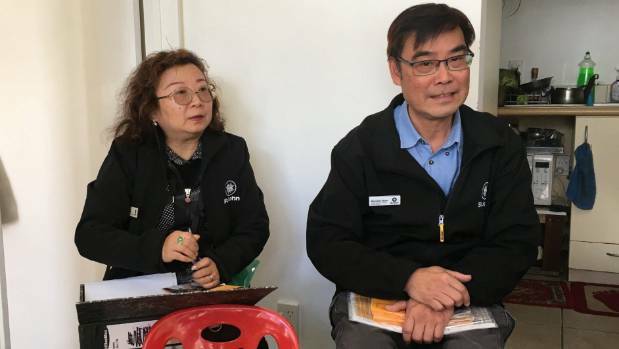 Feature photo: St John’s team leader of the Chinese caring caller division Eunice Hau and Chinese volunteer manager for the caring caller programme Kenneth Sham on their visit to see Pan and Mo in New Lynn, west Auckland. Supplied to Stuff/SkyKiwi.